The premium car rental market has with times also matured with even Indian players seeking to provide a world class quality. These packages have been designed understanding the importance of time of the corporate executive, for people who have just a day or two available to get away from the madness of work, take a short trip and unwind with their families and friends. “The car rental market has been on an upswing since the last recession got over. The premium car rental market has with times also matured with even Indian players seeking to provide a world class quality. The Indian car rental market today stands at roughly 3.5 bn $ with the organised players constituting roughly 20 %. The rest of the market still remains fragmented. India is seeing rising demand for international services and products in this segment with corporate drive, self drive growing at a healthy pace. 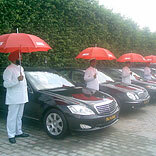 The premium car rental side is seeing people consistently take cars which are better not just in terms of cleanliness but also technological support, seamless form of hiring and practically new cars with less hassles,” shares Sunil Gupta, CEO Avis India which is a joint venture between The Oberoi Group & Avis Budget Group. Avis India recently introduced Avis India chauffeur driven family getaways for Delhi, Mumbai, Chennai, Kolkata, Bangalore, Hyderabad and Pune. “We see people not shy of spending a little more if they have customised packages suited to their own requirements. The holiday season during May to July sees demand for packages increasing while corporate and point to point demand remains constant throughout the year. People are also looking at hourly and weekly rates for self drive packages,” opines Gupta. These packages have been designed understanding the importance of time of the corporate executive, for people who have just a day or two available to get away from the madness of work, take a short trip and unwind with their families and friends. While at Swift Car Rentals, the car rental service in India is essentially customer oriented, point to point travel, on time, trained & disciplined chauffeurs, safe driving and online booking are the minimum expectations of the corporate clients. “Large corporate organisations in India whose yearly car rental expense is more than Rs 15 crore usually take the economy segment. There is a niche market for the premium and luxury segment cars where the organised service providers have to live up to the service level expectations,” says Sinha. While, in India, Avis has been present since more than 20 years now; Swift has been providing premium car rental services in India for the past 22 years. To avail the services, all the customer has to do is to call the toll free Avis India customer service number for reservations or e mail Avis. However, Swift offers on-line reservation on the website and a centralised email id. The clients are also offered an exclusive link for online reservation. The complete ERP software is being implemented in all the offices across India. “We are growing at 35% YOY as against the industry average of 15%. We have a fleet of more than 1400 premium cars across India. With a network extending across 41 conveniently located rental stations in 18 cities and more than 1600 car rental bookings per day, the company in India has an annual turnover in excess of US $ 25 million,” shares Gupta. Swift provides services in India with a large fleet and 24x7 operation geared up to provide highest standard of service to majority of the corporate clients that includes IBM, HP, Accenture, Nestle, Intel, SAP India, Alcatel Lucent, Siemens, Aon Hewitt and the TATA Group to name a few.